“I’ve been working really hard since I last put out a blog. I have passed my BA course which is brilliant!! It’s really tough but with some graft I managed it. We are really lucky because we use a building that the trainers can set real fires in. It’s my first real taste of what it’s like to be in a building fire, and I can tell you it’s very hot!!. I’m really glad I have passed the course. I haven’t had to use those skills for real yet. 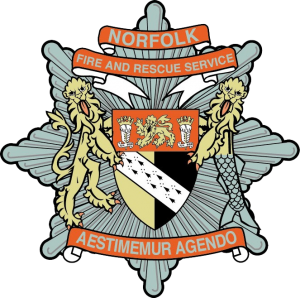 I know that when I do I will be partnered up with one of the more experienced fire fighters which we have lots of at Kings Lynn. One of our crew has left to join the RAF. His last drill night we gave him a good send off, he was dunked into the dam we were pumping from. I wish him well.